Normal Windows Media Player playlists are great for organizing your music, but they tend to be too static, especially if you regularly update your music library. 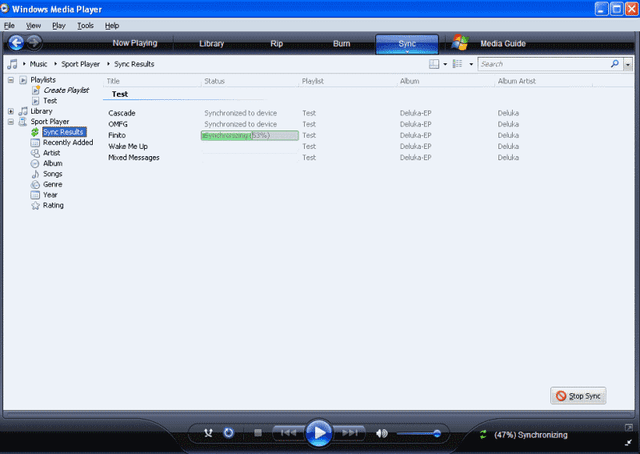 Windows Media Player makes it possible to create Auto Playlists that update themselves automatically based on pre-defined rules. If, for example, you want to create a playlist that has a particular genre of music, then as you add more of this type to your music library, the Auto Playlist will automatically update itself. Creating Auto Playlists are great time-savers that you can use just like normal ones to play, burn, and sync an ever-changing music library. To start making your first Auto Playlist, click the File menu tab on Window Media Player's main screen and select the Create Auto Playlist menu option. Type in a name for your Auto Playlist in the text box. In the main part of the screen you will see green '+' icons for adding criteria for the Auto Playlist to follow. Click on the first green icon and select an option from the drop-down menu. If, for example, you want to make a playlist that contains a particular genre or artist, then choose the relevant option. Now, click on the hyperlink ([Click to Set]) next to your first rule to configure it. You can also click the Is logical expression to change it. When finished adding rules, click the OK button. You should now see a list of music tracks that have automatically been added based on your criteria. Look at this list to check that it has been populated with what you expect; if not, right-click the Auto Playlist and select Edit to fine-tune. Finally to start playing your new Auto Playlist, double-click on it to start playing the tracks. You'll notice that the icon for an Auto Playlist differs from a normal playlist making it easy to differentiate between the two. You can now play, burn, or sync your music just like a regular playlist!